Today’s AM fix was USD 1,295.00, EUR 942.09 and GBP 779.14 per ounce. Yesterday’s AM fix was USD 1,314.50, EUR 952.74 and GBP 794.98 per ounce. Gold fell $10.80 or 0.82% yesterday to $1,301.00/oz. Silver slipped $0.25 or 1.25% at $19.75/oz. Gold bullion dropped to its lowest level in six weeks in London as better than expected durable goods hinted to a recovery in the U.S. and increased the case for the U.S. Fed to keep reducing stimulus and start to raise interest rates. Fed Chair Yellen commented after this month’s policy meeting that the bond buying program may end this fall and the first increase in the benchmark rate may follow six months later. U.S. President Barack Obama reiterated yesterday that the U.S. and its European allies stand united against Russian attempts to redraw Ukraine’s boundaries. Russia is the biggest supplier of palladium followed by South Africa, where workers have been on strike since Jan. 23rd. 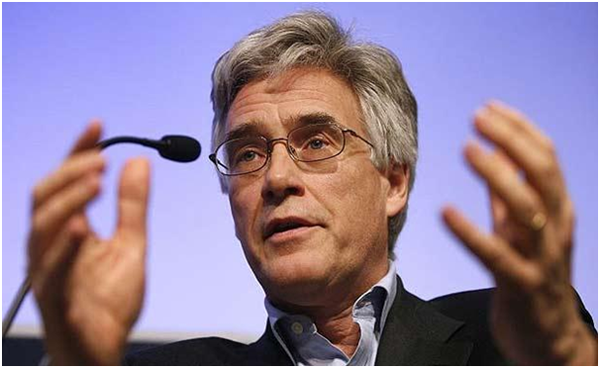 Britain’s former chairman of the Financial Services Authority (FSA), Lord Adair Turner, spoke at Cass Business school yesterday and warned that the UK could be repeating the 2008 financial crisis by fueling the property market. He commented that mortgage and commercial property lending in global economies had played a "central role" in nearly all financial crises and post-crisis recessions. Lord Turner told the Telegraph, "We’ve got to increase the supply of housing because otherwise we are just piling up very strong incentives to buy housing, very strong incentives to borrow money to buy housing but against a fixed supply". "If you do that the only thing that can give is the price." Lord Turner warns about the debt to income ratio. "Even the Office for Budget Responsibility has said the only way we’re going to get growth back in the next five years is for the ratio to return to 170% again. If in five years time debt has gone back up to 170%, and if interest rates have returned to 3%, 4% or 5%, then a lot of people are going to be struggling." Lord Turner elaborated that targeted reforms to limit credit fuelled growth were needed to prevent a repeat of the 2008 financial crisis. "The policies followed before the financial crisis failed to prevent it," he said. "In its wake major financial reforms have been introduced. These include higher capital and liquidity standards, more effective bank resolution procedures: measures to address risks in derivatives trading: and structural reforms such as ring fencing… While these reforms are valuable, they will be insufficient to ensure a more stable financial system and economy over the long term. "We need to recognise and contain the potential for instability which [reliance on in real estate lending] unleashes," added Lord Turner. "Policies relating to the supply of new real estate, and to its taxation will likely prove as important to to financial and macroeconomic stability as reforms specifically focused on the financial system itself. "[Credit cannot be] constrained through the use of the interest rate lever alone." With interest rates at post war lows and unlikely to go much lower the risks of further systemic events developing within our global financial centres, is again rising. It would seem that the measures taken in oversight and reporting, albeit a massive improvement on previous regulatory mishaps, are again proving porous. The rampant politicisation of interest rate policy and monetary tools are again creating new asset bubbles, most notably in the property and equity markets, which may in the end pose even greater risk than the financial dislocations of 2008. When money is debased on an industrial scale by monetary authorities the results can soon turn catastrophic. It is essential that prudent investment strategies take these risks into account and that investors allocate a modest percentage of their portfolios to hard assets such as gold and silver. For more information on how to invest in gold please download a copy of our Guide to Investing In Gold.